Rani Mukerji’s Hichki received well in China; gets standing ovation! Releases 12 October, 2018! 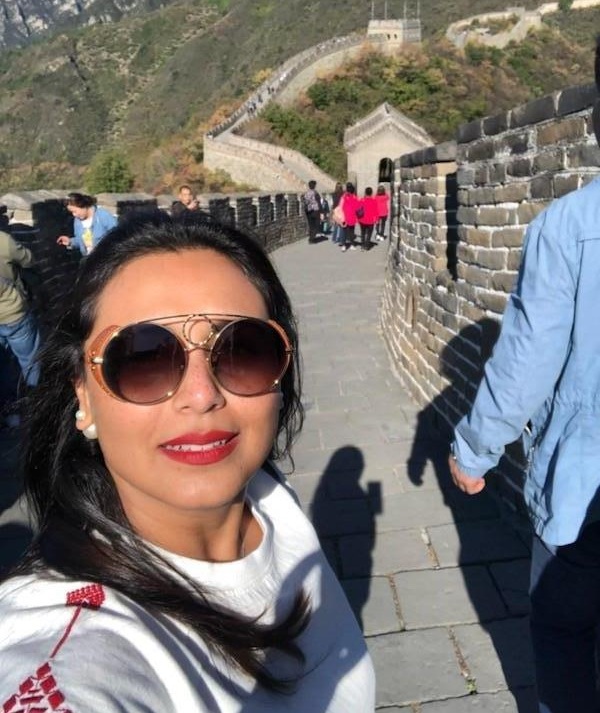 Rani Mukerji is promoting her film Hichki which has won over the hearts of the people in China. The Tianmu Caiyun theatre was packed with students and movie-buffs where at the post screening, they showered their love and respect to Rani by a standing ovation. The actress also interacted with the audience and signed autographs and clicked pictures with them post screening. Hichki has also been receiving worldwide accolades and honor. It received a standing ovation at the Shanghai International Film Festival (SIFF) and then at the Indian Film Festival of Melbourne (IFFM), Rani was awarded the Best Actress award. Hichki is a comedy-drama film, directed by Sidharth P Malhotra and produced by Maneesh Sharma under the banner Yash Raj Films. It is an adaptation of Brad Cohen's autobiography Front of the Class: How Tourette Syndrome Made Me the Teacher I Never Had, of which Yash Raj Films acquired the rights. Rani Mukerji plays the lead role of an aspiring teacher having Tourette syndrome, who aims to educate a group of underprivileged students. Hichki is slated for release in China on 12 October, 2018. The film was released on 23 March 2018 in India. It was also screened at the Shanghai International Film Festival on June 16, 2018. It will break Sultans LT collections in 3 days only!